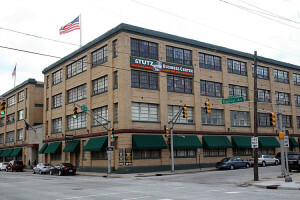 The 22nd Annual Raymond James Stutz Artists Open House is scheduled for the weekend of April 24-25 at the Stutz Business Center, 212 W. 10th St., Indianapolis, Indiana. The Stutz Artists Association has added artist demonstrations, kid-friendly activities and an entertainment line-up that features jazz, blues and more to this year’s Spring Open House. More than 70 artists will open their studios to visitors during the two-day event. It is not only an opportunity to see the work of 70 local artists in one place at one time, it is a chance to see where and how the work is created. Artwork ranges from paintings, drawings and photography, to sculpture, jewelry and furniture. Tickets are $12 in advance at select Old National Bank locations and at the Stutz Business Office or $15 online and at the gate. Tickets are valid both days. Children 12 and under are free. For information call 317.503.6420 or visithttp://www.stutzartists.com/. Proceeds from the event support the Stutz Residency Program, one of the largest grants to individual artists in the state. The funds provides one year scholarship for free studio space and utilities for emerging local artists.